Fundraiser for Jennifer Capalbo by John McCormick : Charlie Capalbo - Be Strong! Charlie Capalbo - Be Strong! Sadly, Charlie has had a critical relapse, so he and his family need your help! 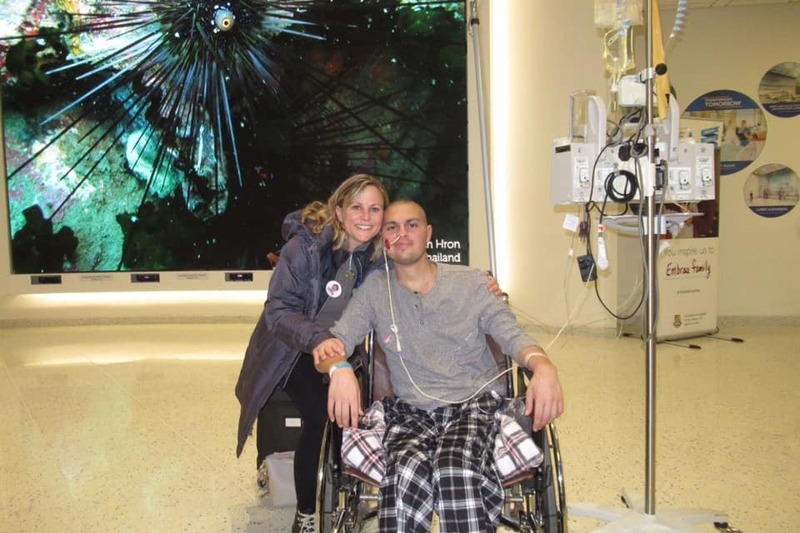 For his specialized treatment, Charlie has just entered Boston’s Dana-Farber Cancer Institute, where he and his parents will live for approximately 6 months. Unfortunately, this will be extremely difficult for them financially given the extraordinary costs and major impact on their income. Please share this message on social media and pass it along to your family and friends to increase the support for Charlie and his family. Thank you for your previous and ongoing support! 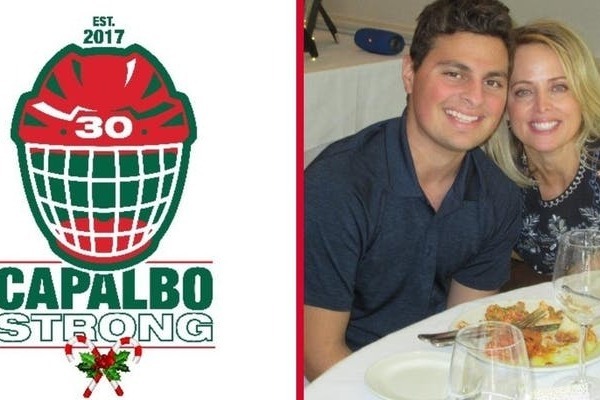 Charlie Capalbo is a close family friend who was diagnosed with cancer near his heart and lungs in March 2017. He is a wonderful young man who had just completed a great season as the goalie for the Fairfield, CT high school hockey team. His official diagnosis is Non-Hodgkin's lymphoblastic lymphoma T cell Stage 3. At that time, it was not in his spinal fluid (brain) or bone marrow. While Charlie was facing an extremely long and difficult course of treatment, it was treatable and it is more importantly curable. The original treatment plan was 32 months of chemotherapy​. Initially, it was daily for a week, then 2 times a week for 8 1/2 months, and then once a week for year and a half. Despite many extremely difficult side effects and setbacks, Charlie battled through it all and made enormous progress. He had just started at Fairfield University and was living on campus. College is now on hold as he begins his next battle. Two and a half weeks ago we moved from Boston Children’s Hospital to Spaulding Rehab Hospital in Charlestown. It was hard to say goodbye to all of my nurses, doctors and other care providers but it was exciting to move to the next step in recovery. Many of you probably saw the video of me walking out of my transplant isolation room at BCH through the bubble parade in the hallway to transfer to Spaulding…I worked really hard with my PT and OT providers at BCH for months to be able to walk that stretch. My room at Spaulding is unreal and it has amazing views of the Boston Harbor which makes getting up early for 3 hours of therapy sessions a little easier. On my first day here I was asked at least 5 times what my goals are while here. The first time I said I just wanted to be able to walk again. But as I was saying it I knew I wanted more ...every other time I was asked I said “to get back to being a normal person, like my regular life”. I want to get back on the ice. I want to go back to school. I want to do everything I used to do and I’m determined to get there as quickly and safely as possible. My appetite is coming back – my feeding tube was pulled last week and I am enjoying eating regular food again, and my doctors are working with Spaulding to wean my painkillers and many of my other meds (although there are some I’ll need to stay on for a while). In the few weeks that I’ve been at Spaulding I’ve already switched from a walker to a quad cane, to a smaller footprint quad cane, to a single point cane, and now I can walk mostly without a cane. My therapists (PT and OT) provide a rigorous daily schedule of workouts for me. My parents and everyone here are blown away by how much progress I’ve made. They’ve done such a good job that we’ve agreed on a discharge date of April 16th -- much sooner than expected! When I get home I’ll be in outpatient PT so I can keep getting stronger and closer to meeting my goals. I’ll also be coming to Boston every Thursday to go to the Jimmy Fund Clinic at Dana Farber for check ups. I’ve already been there twice since moving to Spaulding and my counts have been great – thank you Will! I’ve enjoyed seeing friends and family while here at rehab and I was especially honored to recently have had a very special visitor – the legendary Jack Parker (and his super nice wife Jackie) came to see me! Jack is the former BU Men’s Ice Hockey Head Coach…he spent 48 years at BU as a player, assistant coach and then head coach (for 40 years), and is an incredible man. I’ve been really lucky to have been able to see visitors while here. I’m only able to because I’m still in a hospital setting, but once I go home I’ll have to be in protective isolation for a few months. This means that nobody can come into our house except for me, Will, my mom and dad. I’m also not allowed to go to any indoor public places or private homes (other than my own). I can visit with people outdoors so I can see friends on our patio for the summer. I’m also allowed to go to a restaurant with outdoor tables, so I’m hoping we have a lot of good weather coming for spring and summer! I’ll be on a strict post transplant diet for about a year, which means that I have to be really careful of what I eat or drink to avoid infection, so please don’t be offended if I can’t eat something you share with me! 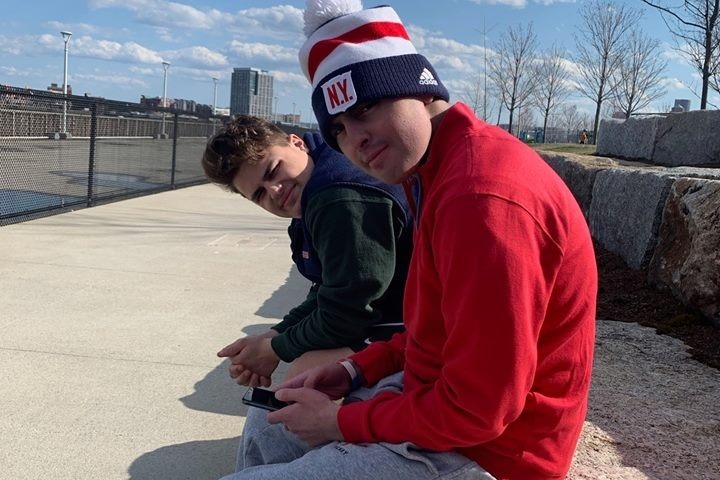 Yesterday my parents left me alone (not exactly alone….there were plenty of nurses and doctors around) for the day the first time since October, as they went to watch Will receive an Inspiration Award at the CIAC All State Hockey banquet. I really wished I could have been there in person but I’m so happy they honored him with the award, and also glad to have some video of him receiving it. I’m so proud of my brother! Thank you to EVERYONE who supports us, you all know who you are and we couldn’t have gotten through the last six months (really the last two years) without you guys! I can’t wait to be back to a normal life so I can pay it forward. And an extra shout out to our friends and family members that are always here for us...the kind that show up for whatever we need, including taking time off from work and driving for hours in Friday rush hour traffic to another state just to attend a 6 minute send off bubble parade! From Charlie's mom - Two years ago today we woke up to a normal day that by 11:00am became the start of a long journey with pediatric cancer, that no child or their siblings should ever have to experience. Charlie has battled (and continues to) in ways we can’t describe, nor can we imagine what it feels like to be in his body, or his mind. Over the last two years we have met many new friends, lost friends to this hideous disease, seen friends triumph, seen friends relapse, watched all of their parents struggle with the pain of watching their children battle, while they (and we) accept the challenges that come with today’s reality, as well as the unknown path ahead. 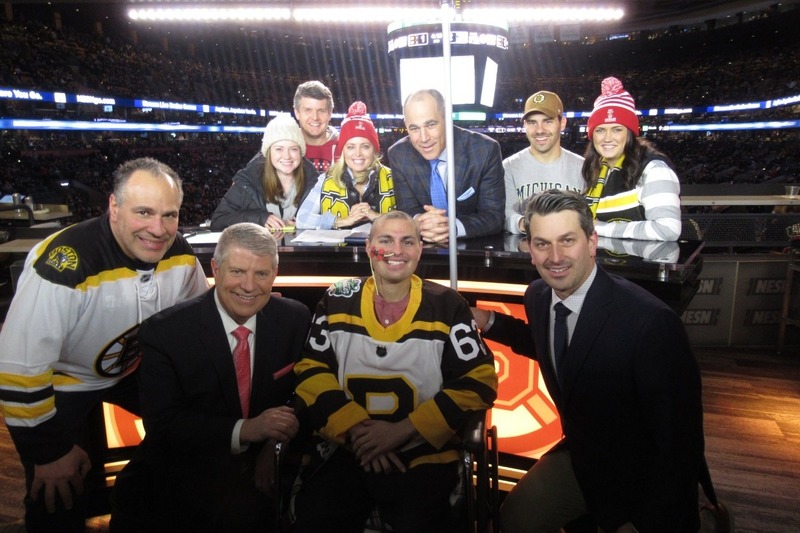 It is not lost on us how fortunate we are to have been embraced by the most generous and loving community, doctors, nurses, family, friends, acquaintances, even strangers, and of course the incredible hockey world. We went from a two income family to a zero income family, while incurring many new expenses, and dividing our family between two states in order to get the best possible care for Charlie. Without help, we would never have been able to do this. Thank you all who have helped in big ways and small. Every bit matters. Most importantly, thank you all for the continuous prayers for his recovery, and for all of the kindness that has lifted Charlie’s (and our) spirits and have kept us afloat. As one of Charlie’s doctor’s said just today, “we wrecked him in transplant…but it was for a good cause”. Tonight on his 144th consecutive night here at Boston Children’s Hospital, he continues to quietly fight on. He’s currently working through side effects of Grade 3 Graft vs. 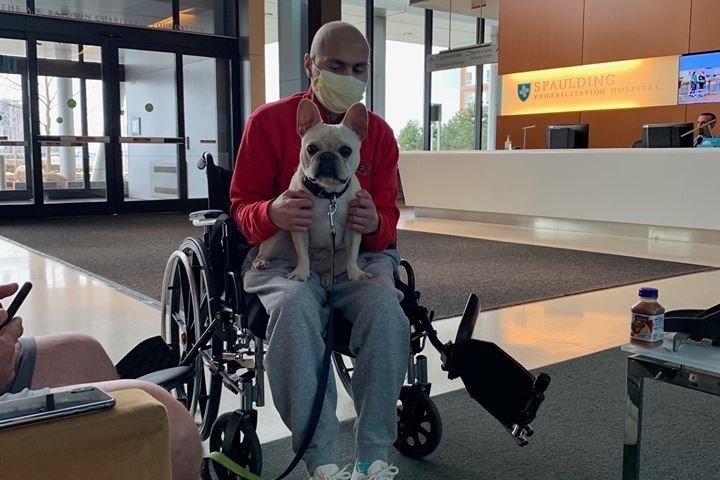 Host Disease (GVHD), while he simultaneously is working on repairing and strengthening his body from the chemo and radiation that was required to get into remission, as well as condition him for the transplant. Never did we think on March 16th, 2017 that this would be where we are today, but we are, and we continue to be hopeful that there is bright light ahead. Charlie is preparing for his next big step on Feb 4 - a bone marrow transplant from his brother Will, a fellow hockey goalie. Charlie has completed his brain boost radiation treatments and moved to the transplant unit. This week, he will start his total body irradiation (TBI) treatments. 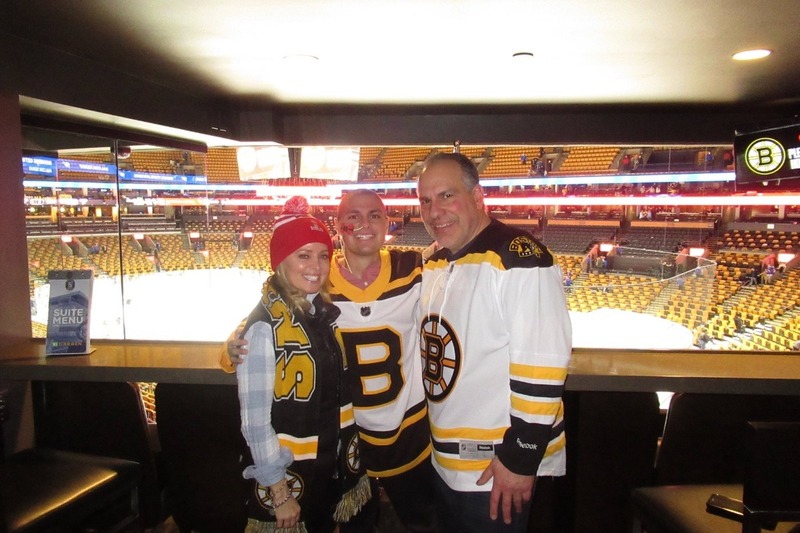 On a positive note, Charlie was able to leave the hospital for a few hours two weeks ago and see a Bruins game against the Rangers, his 2 favorite teams. It was his first time out of the hospital in 3 months. Charlie is my nephew, and watching his extended family of hockey players, schoolmates and friends support him this way is just amazing. On behalf of my family, the warmest and most grateful thanks to you all. 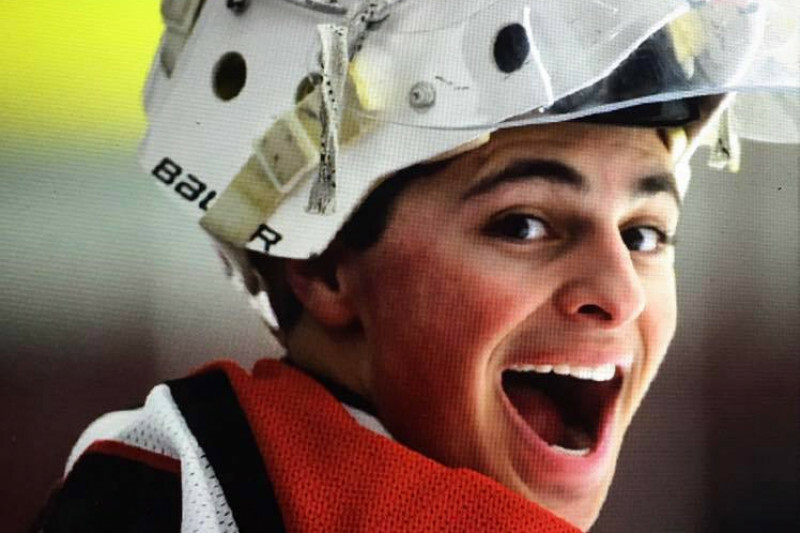 Our thoughts and prayers are with you guys... our son Joey (also a hockey player!) battled Stage III NH Lymphoma (Anaplastic Large Cell) 2 years ago at the age of 10... he is now a healthy 12 year old in remission for almost two years and back on the ice! Stay strong Charlie - you got this!!!! We know you're in the net and ready to make this save! Positive thoughts, prayers and belief in the power of both to you and your family from Franklin and the Berry family! I'm so sorry to hear about this diagnosis but how wonderful that the whole community is pulling together to support him and his family. I want to let the family know of a wonderful organization called Friends of Karen that helps children (through age 21) who have been diagnosed with cancer and their families. The family might want to check them out at www.friendsofkaren.org and apply for help (financial, emotional, advocacy, sibling support, etc.). Wishing all the best to Charlie and his family. 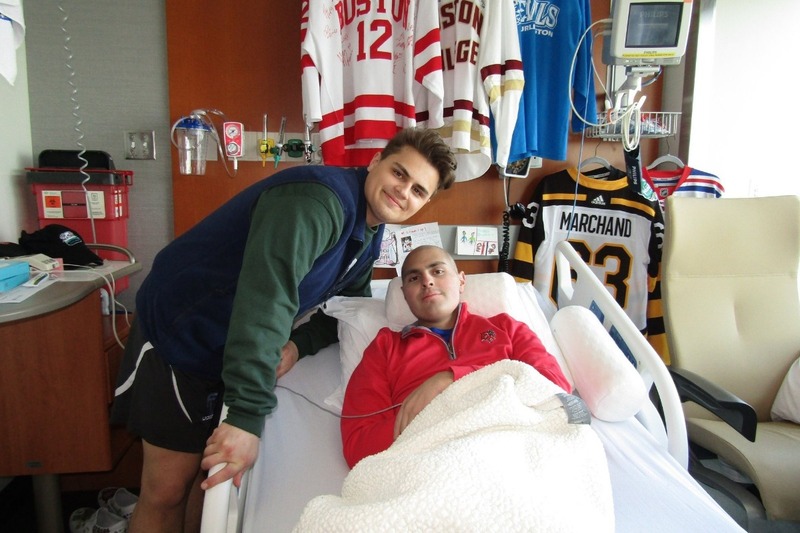 We don't know you personally, Charlie, but as a fellow Hockey family, we are praying for you and donating...STAY STRONG, Hockey strong! Stay strong Charlie, you're in my thoughts and prayers. Wow! So great to hear how you are doing, feeling and planning for a full recovery. You got this. Stay strong. We wish you all the best. Stay Strong - Hockey guys never quit. Charlie-- Stay strong !!!! Best to you and your family as you continue to recover. You are such an inspiration to our family! Excited to see you back in the neighborhood. Charlie, You are an amazing inspiration! Keep the faith and stay strong! Good luck in your next stage of recovery Charlie!